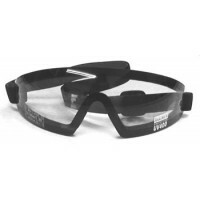 The Wing goggles offer great peripheral vision whether you are on the road or sky diving. 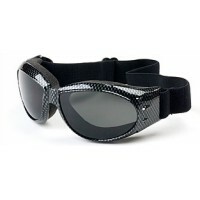 The superbly comfortable neoprene foam padding form fits to almost any face. 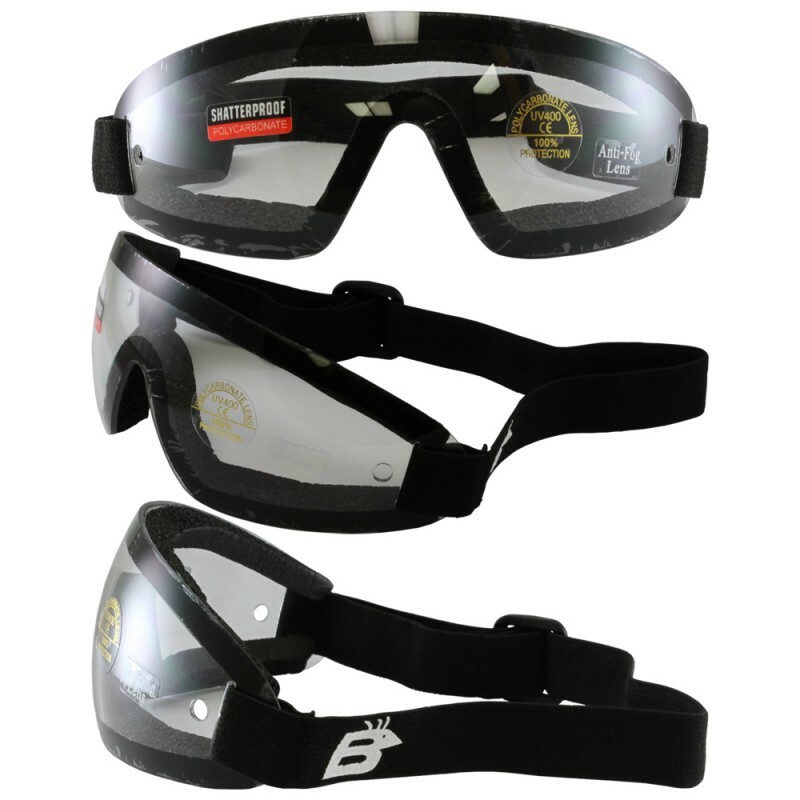 The one piece shatterproof lens design is antifog with ventilation holes on either side of the lens providing just enough air circulation while keeping your eyes from watering at terminal velocity. 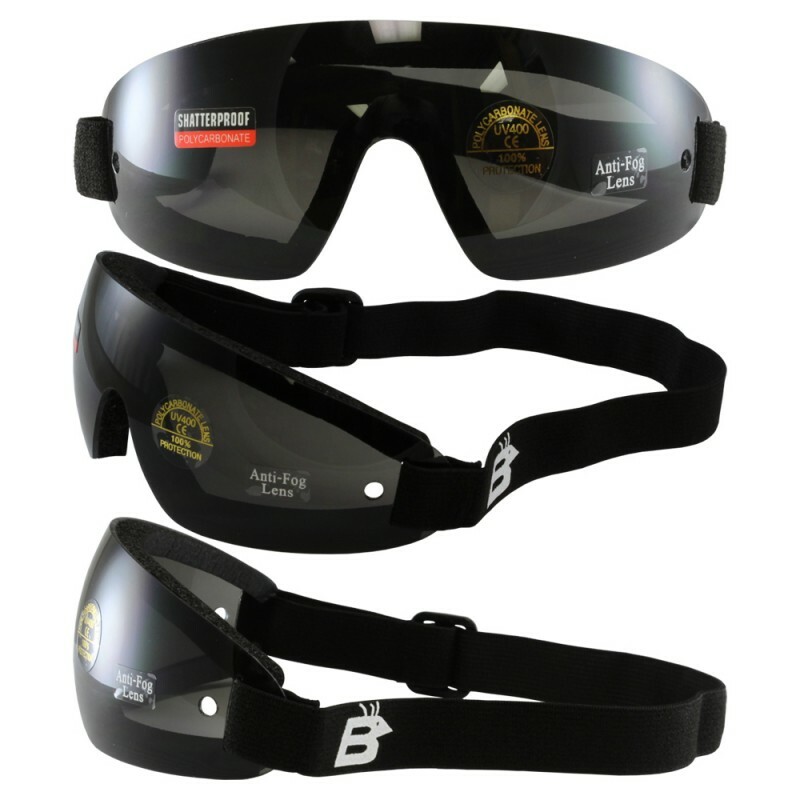 The one piece lens is UV400 protecting you from the sun's harmful UV rays. 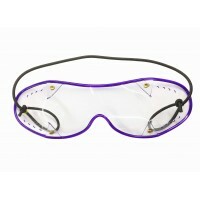 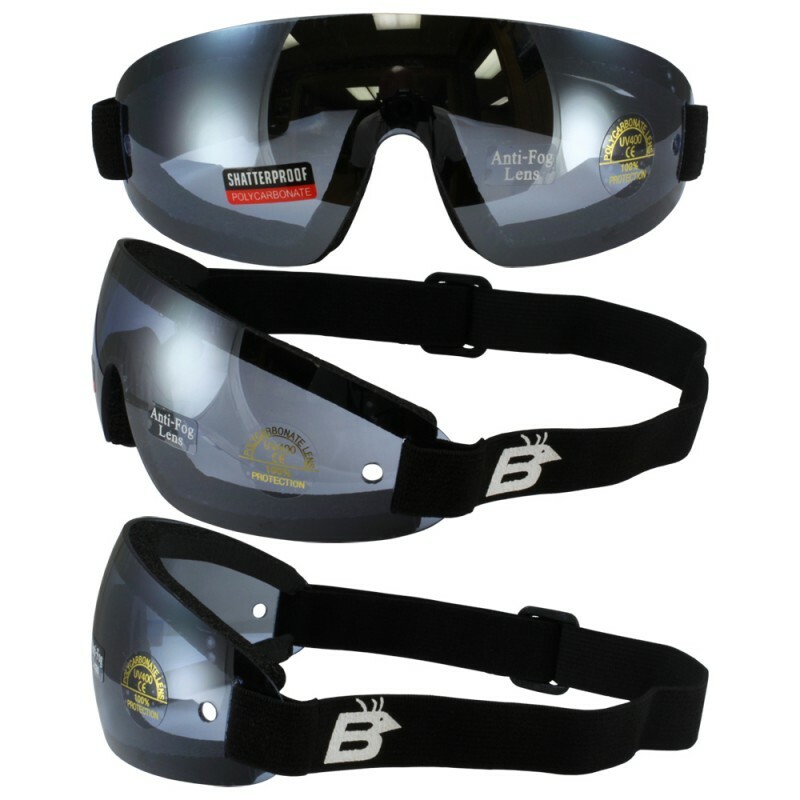 The high quality strap ensures that the goggles will not move on your face at high rates of speed. 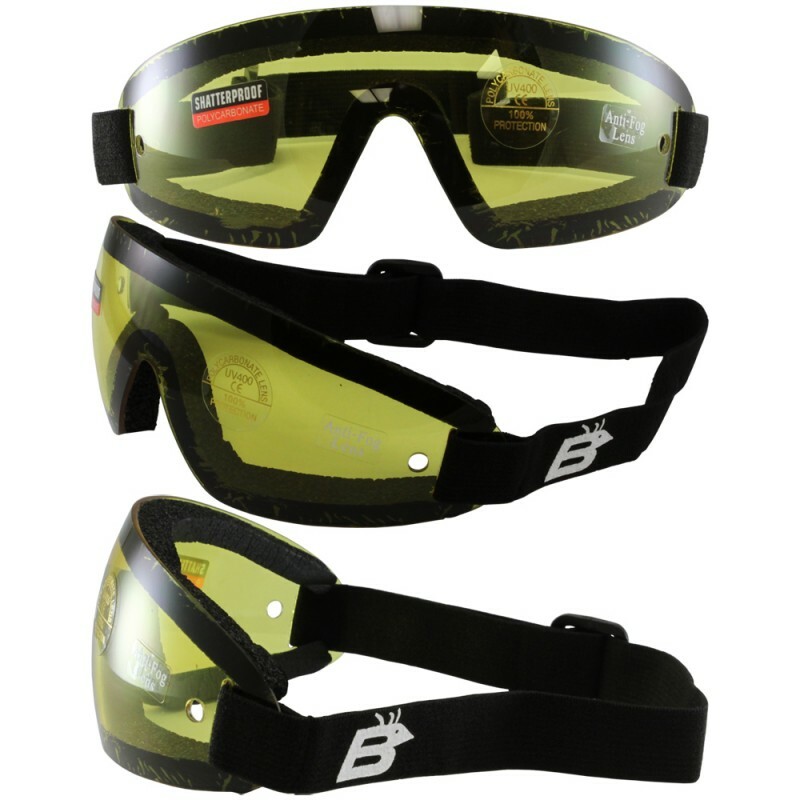 And if you are on the water, rest assured: they float! 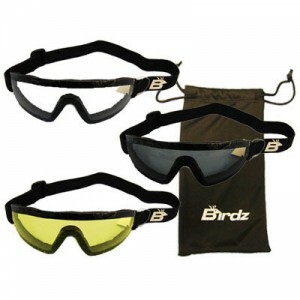 The goggles are available in clear, smoke, yellow and a glare reducing blue lens. 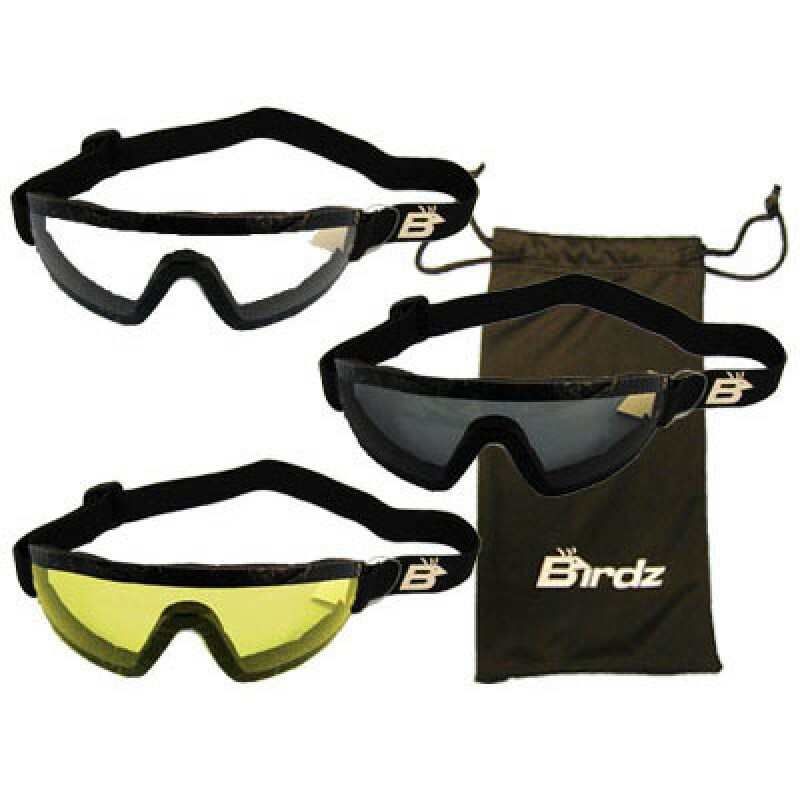 Each pair of Wing goggles comes with a microfiber pouch for safe cleaning and storage.